Have you ever wanted to remove a particular part, person, building, animal or even a watermark from a picture? If yes, need not worry. Here is the solution. The steps are easy to follow. 1. Click on Load Image and select the image from the browser. The picture has to be on your system. If you have found it on the net, just save it. 2. Select the part you want to remove. Just like what we do on Photoshop with the brushes. Completely brush the part to be removed. You are allowed to change the size of the marker as per your convenience. 3. Click on InPaint and see the magic. 4. Now click on Save Image (the floppy icon) and save it as .jpg! Note: Many might be knowing about this, but I am sure this will help those who didn't knew. A desktop version (software which you can download) is also available for free. But I prefer the online version. Its smooth and doesn't interfere with our system. 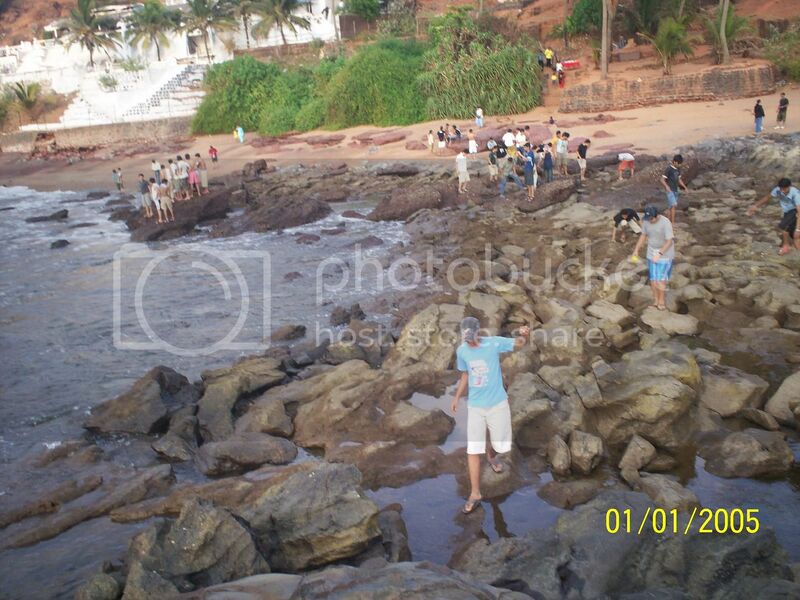 This is a picture from my Goa trip in 2008. Don't go on the date, its the camera's fault. I just removed one of my friends from the picture. The entire thing didn't even take a minute! Wish to try to desktop version too?